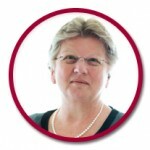 Jan Skinner is a Registered Nurse, educator, manager and researcher. She has worked in the University and TAFE environment, as well as in the non-government sector managing nursing, non-nursing and allied health staff within a range of community services, caring for frail aged clients and those living with dementia, providing services that facilitate re-ablement, support / maintenance and client choice. She participates in research into ageing, dementia and nutrition in the older Australian, and acts as an advisor on ageing within the tertiary and health care sector. She has a keen interest in client lifestyle, bringing clients / residents, carers and families together using everyday activities and shared experiences to optimise physical, emotional and psychological health and wellbeing. Jan believes that shared meal preparation, feasting and cultural norms play a key role in the promotion of these important areas within the person’s life. Participating in the project provides the opportunity to collaborate with key stakeholders and experts who are passionate about ensuring quality outcomes for the ageing community. Placing nutrition at the forefront of the lifestyle experience is tantamount to enhancing the individual's quality of life. The Lantern Project's aim is to place this experience for the aged on the map within Australian residential and community aged care settings and make this a reality. Jan is a Registered Nurse with 20+ years experience in the area of leadership and management within the community/residential aged care sector, providing strategic and operational support to services in planning, implementation, and evaluation of systems and processes within health care.